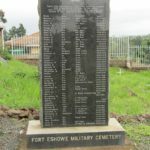 Situated in the King Dinuzulu Township, this cemetery contains the graves of those soldiers who perished during the Siege of Eshowe and in various battles and skirmished between 1879 and 1898. 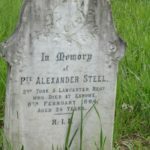 Many died of disease rather than wounds of war, with dysentery, enteric fever and sunstroke claiming the majority of the victims. 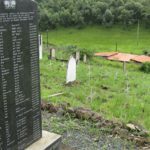 A granite memorial lists the names of those who could be identified, but 34 of the 82 graves belong to unknown soldiers.